In October, I was invited to attend the Twin Cities Book Festival. 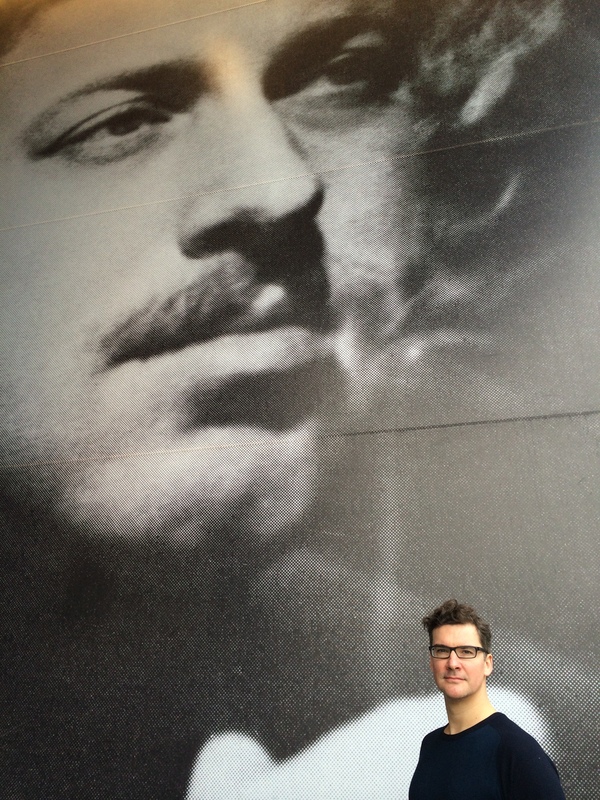 That weekend, I dropped by the Guthrie Theater to pose with Tennessee Williams, who is rarely seen without a cigarette or a drink. I’d been thinking about the great man because I was reading John Lahr’s magnificent new biography, Tennessee Williams: Mad Pilgrimage of the Flesh. I was fortunate enough to talk to Lahr about his fascinating subject and wrote a preview piece in the winter edition of Listen: Life with Music & Culture. The book is an inspiring read about a man who suffered and drew on that suffering to create some of the most wonderful plays of all time.